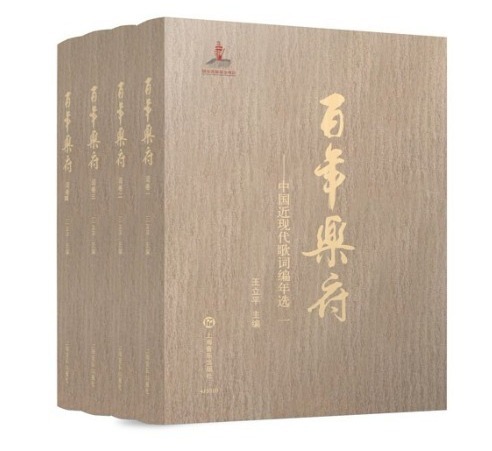 A four-volume anthology of modern Chinese lyrics was released in Beijing recently. And it includes lyrics of 1,537 modern Chinese songs from 838 songwriters that were created between 1902 and 2013. The Chinese have a long tradition of recording historical events and social life in songs. And the anthology is part of a project to summarize the historical changes over the past century from a musical angle and to provide an alternative perspective to reflect on Chinese literature and history, according to Feng Yuan, vice-director of the China Central Institute for Culture and History. The project, which was launched in 2014, is run by the Counsellor's Office of the State Council and the institute. And the name of the project, A Hundred Years of Yuefu, comes from an ancient style of poem that could be set to music and dance.